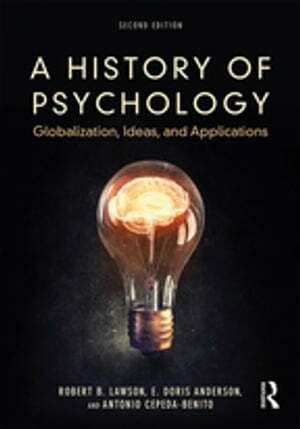 Collins Booksellers - A History of Psychology by Antonio Cepeda-Benito, E. Doris Anderson & Robert B. Lawson, 9781351846875. Buy this book online. Global, interdisciplinary, and engaging, this textbook integrates materials from philosophical and biological origins to the historical development of psychology. Its extensive coverage of women, minorities, and psychologists around the world emphasizes psychology as a global phenomenon while looking at both local and worldwide issues. This perspective highlights the relationship between psychology and the environmental context in which the discipline developed. In tracing psychology from its origins in early civilizations, ancient philosophy, and religions to modern science, technology, and applications, this book integrates overarching psychological principles and ideas that have shaped the global history of psychology, keeping an eye toward the future of psychology. Updated and revised throughout, this new edition also includes a new chapter on clinical psychology.